The Steinberg Law Firm is offering scholarships to three 12th grade students planning to attend college next year. 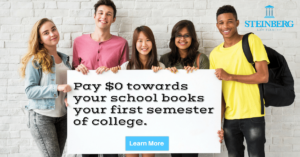 The scholarships will help the winning students pay for books. Students interested in competing for the scholarships must submit a 350 to 700 word essay on how to solve a current social problem with limited money. Essays have to be submitted by November 3, 2017. The essay can address any topic but the emphasis should be on how individual effort, rather than money, can make a difference. Applicants have to submit a certificate from their school confirming their eligibility to graduate next spring. Describe the solutions you would propose to improve or resolve a current issue using limited financial resources. You may write about the economy, health care, discrimination or another topic of your choice. The winners of the three $500.00 scholarships will be announced at the Charleston Youth Summit sponsored by the Steinberg Law Firm Foundation, the Royal Missionary Baptist Church Foundation, Jack and Jill of America and The Links, Incorporated to be held on December 9, 2017. The winners will be invited to read their essays at the Summit. While the Steinberg Law firm is best known for helping injured persons, the scholarship is part of the firm’s 90 year legacy of supporting education. . “We believe education is the foundation for a brighter future of everyone and to offer our support to students passionate about making a difference,” said David Pearlman. Over the years, the firm’s attorneys and staff members have supported numerous organizations dedicated to promoting literacy and education. The Steinberg Law Firm has offices in downtown Charleston, Goose Creek, and Summerville. 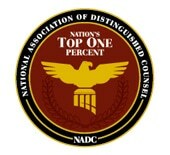 Visit us at www.steinberglawfirm.com.